This photo was taken last fall on Jeju Island. The person appears to be a part of the crew from his comments. “The daily amount of teamwork that goes into filming one cut. 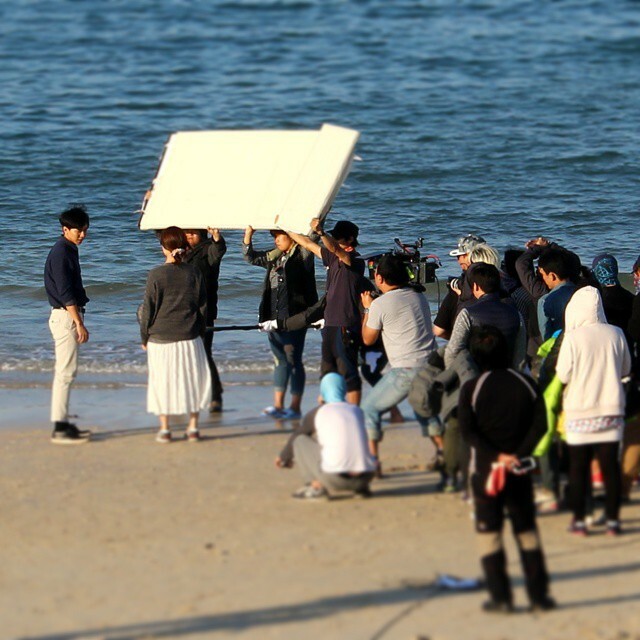 Categories: fanpic, filming, Movie, Photos, translation | Tags: fanpic, filming, Jeju Island, Love Forecast, Today's Love, translation | Permalink.